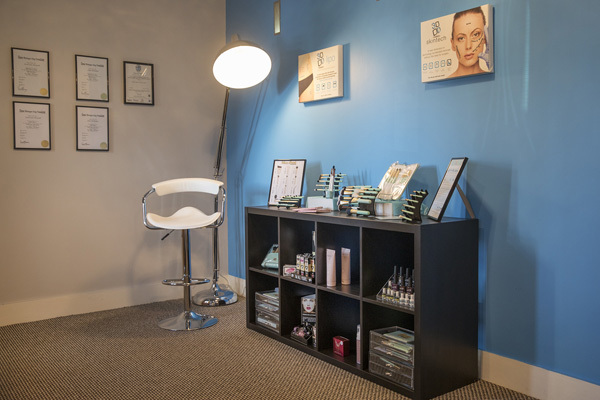 Based in Clonmel, Tipperary; offering both Aesthetic and Beauty treatments with free parking and a private location. We are the first clinic to bring both the 3D Lipo & 3D Sk!ntech systems to Ireland. Our professional staff are offering this revolutionary new treatment to help target stubborn fat areas. It’s a common complaint by people who are physically fit and at a stable weight yet still have bulges, rolls, and other small areas of fat they can’t get rid of no matter how much they exercise or diet. Before 3D hit the headlines in the UK, it was already on its way to the town of Clonmel. 3D Aesthetic & Beauty Clinic (formerly known as 3D Lipo & Skincare) was set up to bring the newest and most modern technologies and treatments in the aesthetic market, right to our own door steps without the need to travel to the big cities! Since we opened in March 2013, our clinic has evolved into a full aesthetic and beauty clinic offering everything from facials, peels, waxing, spray tanning and fat reduction just to name a few! To ensure you, our client, receive the full 3D experience by providing you with top quality service and knowledge. Each treatment will be tailored to your own individual needs in a relaxed yet professional environment. We promise your therapist will be highly trained as we strive on continually educating and developing our staff. Our vision for the future is to continue developing the clinic within the aesthetic market. To keep offering you high end treatments at affordable prices. Yes, our fully qualified and trained therapists are insured against the (highly unlikely) event that you are injured during a treatment. Our certificate and insurance documents are available for you to inspect if you wish. We would recommend booking in advance for your specific time but we do accommodate for last minute appointments/walk in clients once there is availability. If you are having a course of treatments, we would recommend planning your course of treatments in advance. We send reminders of your appointments via SMS the day prior to your scheduled appointment.This is a computerised service so please do not txt back, contact the clinic on the numbers given in your txt reminder. Please follow any instructions given by your therapist/receptionist that may be needed prior to your treatment. Also make sure to call in for your patch test if necessary 24/48 hours prior to your treatment. You can book your appointment by emailing us at enquiries@3dlipoandskincare.ie or you can call 052-6129877. We do allow time between clients to check our email and voicemails so you shouldn’t have to wait too long for a response. We have launched our On Line Booking through this website on the Book Now button or through our Facebook page and Instagram page through the Book Now button. With our online booking system there is no booking fee and you will receive a confirmation email when completed your booking. You can pay for your treatment in cash, BACS or credit card. If you cancel your appointment within 24 hours, the full fee is still payable. If you cancel with more than 24 hours notice, we are happy to re-schedule your appointment. Please do your best to arrive on time but if you arrive late it will unfortunately limit your treatment time as we do not want to delay other clients. Please give us a courtesy call if you are running late and we will be able to re-schedule your appointment or should there be no one directly after you, we will try to accommodate you for your treatment. Please arrive 10 minutes prior to your treatments for your initial consultation, we will ask you to fill out a short questionnaire about your health. All your personal details will remain completely confidential. None of your details will be passed to a third party. For certain treatments it is company policy to take before and after pictures which are kept on your file privately. These pictures cannot be released without your written consent. There is free parking right outside our door. Please inform your therapist if you have any medical conditions that we are unaware of or if there is any change to your health or medication. To promote a relaxing environment for all clients, please refrain from using your mobile phone in the clinic and also please keep your phone on silent. 3D Aesthetic & Beauty Clinic’s company policy states that no one under the age of 16 years is allowed in the clinic without a parent/guardian. Under 18 years of age, cannot receive the following treatments; IPL, 3D Lipo, and 3D Skintech Technology Treatments. Similar but less effective fat reduction treatments are available in Cork and Dublin with fees starting at €550.00 per treatment. Personal belongings are not the responsibility of 3D Aesthetic & Beauty Clinic, please keep your belongings with you as we will not be held responsible for any loss or damage to them.